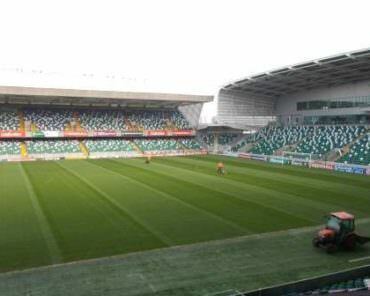 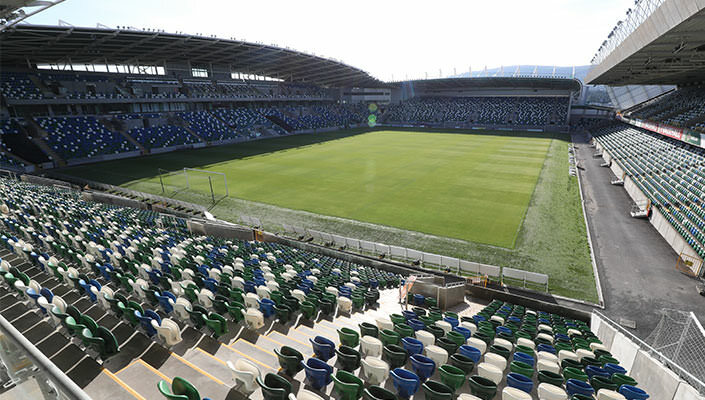 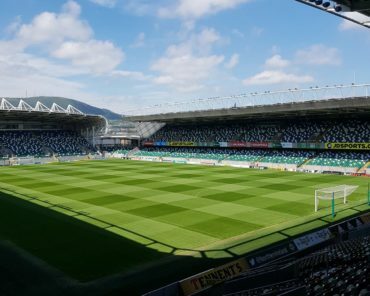 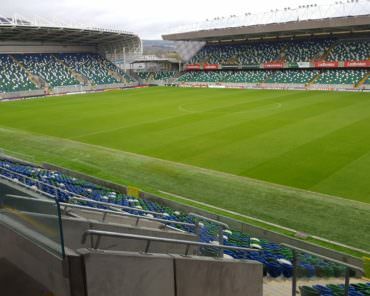 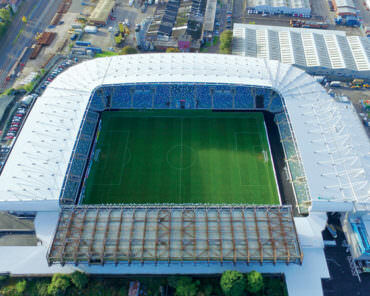 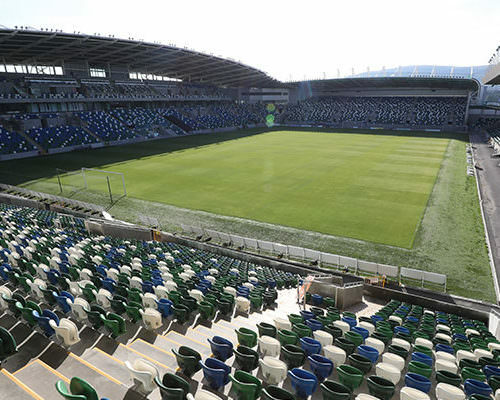 Clive Richardson Limited completed the design and construction of the pitch at the Irish Football Association’s National Football Stadium at Windsor Park, Belfast in late 2014. The pitch was designed and built as a “suspended water table” profile, proven worldwide to be the best way to construct pitches in stadium scenarios. 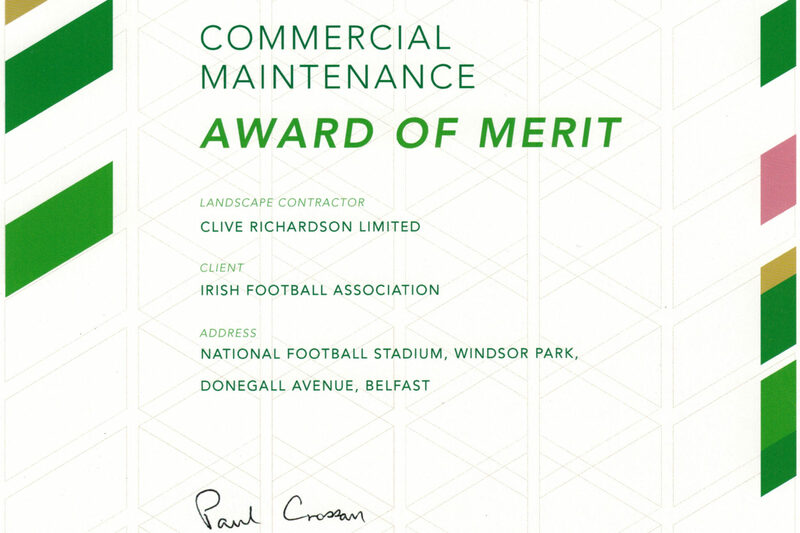 The facility received an Award of Merit in the Sportsground Category at the prestigious 2016 ALCI Landscape Awards. 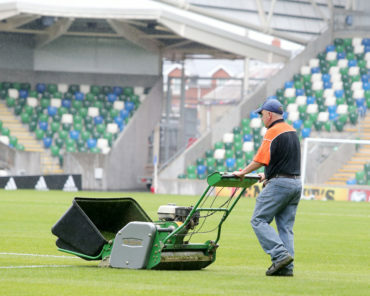 After operating the maintenance of the pitch themselves for the first two years after construction, the IFA took the decision to appoint a suitably qualified company to undertake the maintenance of the pitch, initially along with the nearby Midgley Park Training Pitch. 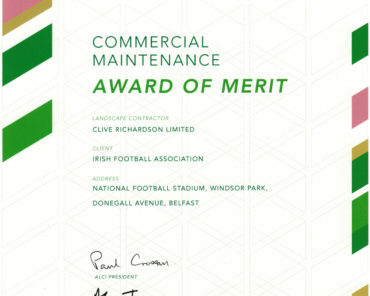 A one year maintenance contract was awarded to Clive Richardson Limited in mid-2016, with the option of two additional years. 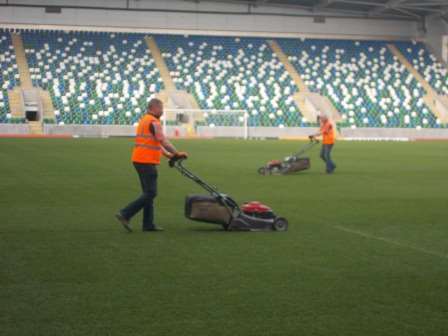 Clive Richardson Limited immediately undertook the entire maintenance of the stadium pitch along with the nearby training pitch, with dedicated staff members based full time at the National Football Stadium. 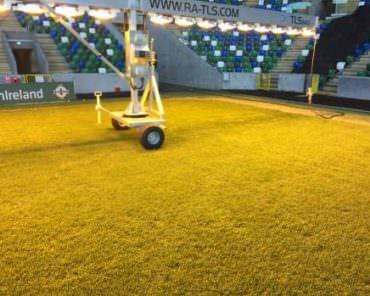 Supply of all equipment and chemicals/treatments for the pitch. 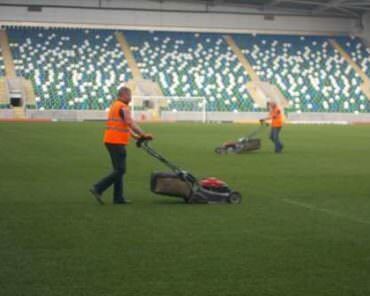 The upkeep and management of the 3G surround to the pitch. 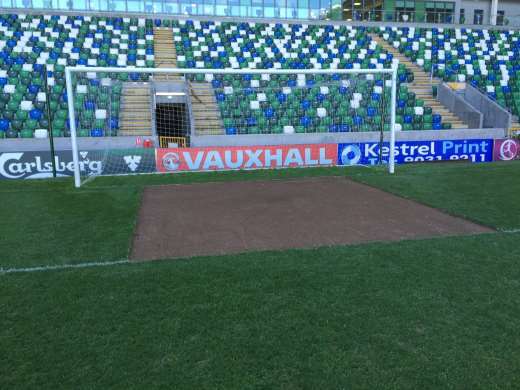 Consultancy for external non-footballing events wishing to use the pitch to protect the playing surface. 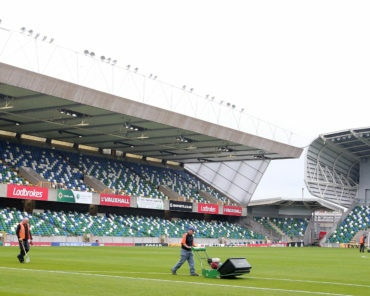 Clive Richardson Limited carries out maintenance works to the stadium pitch, ensuring that the surface is maintained in a top condition all year round. 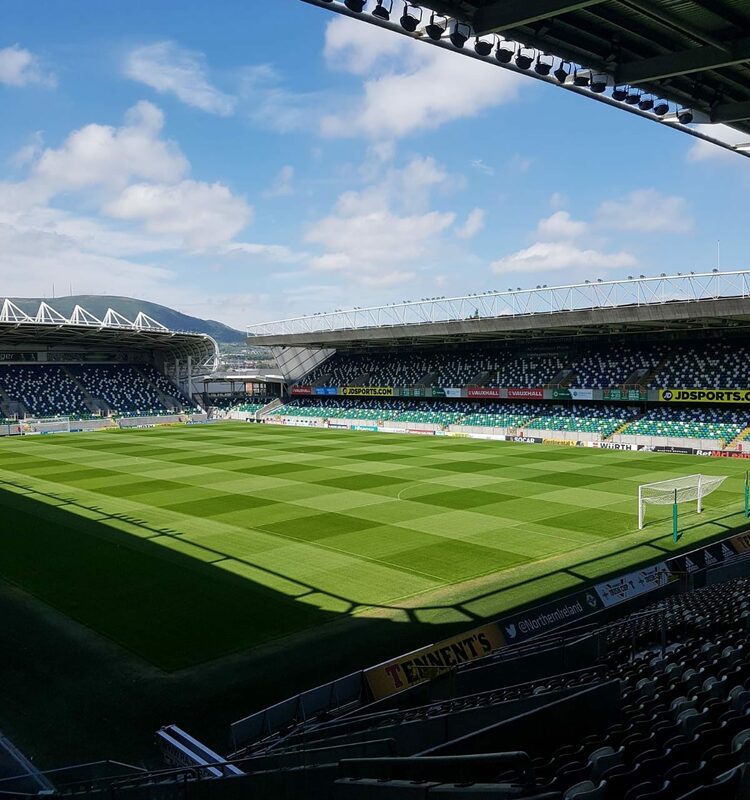 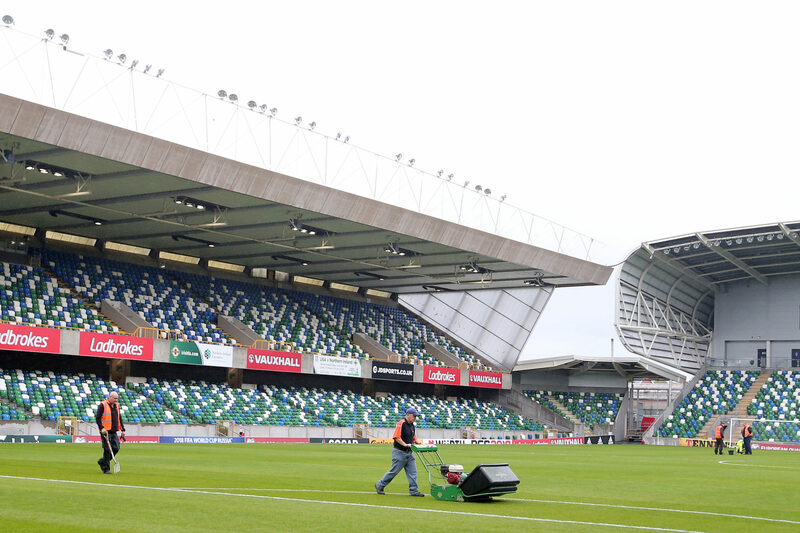 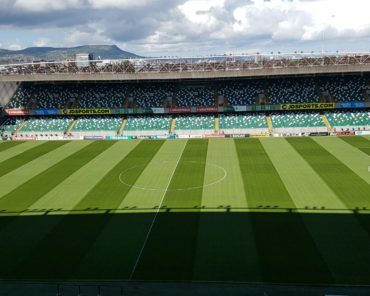 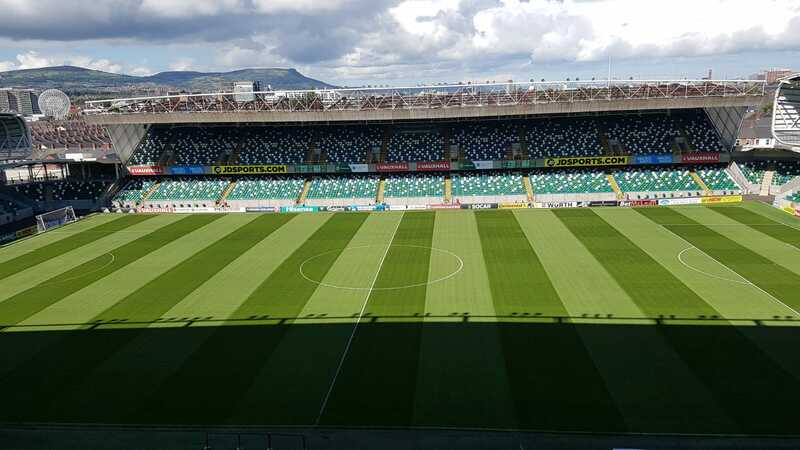 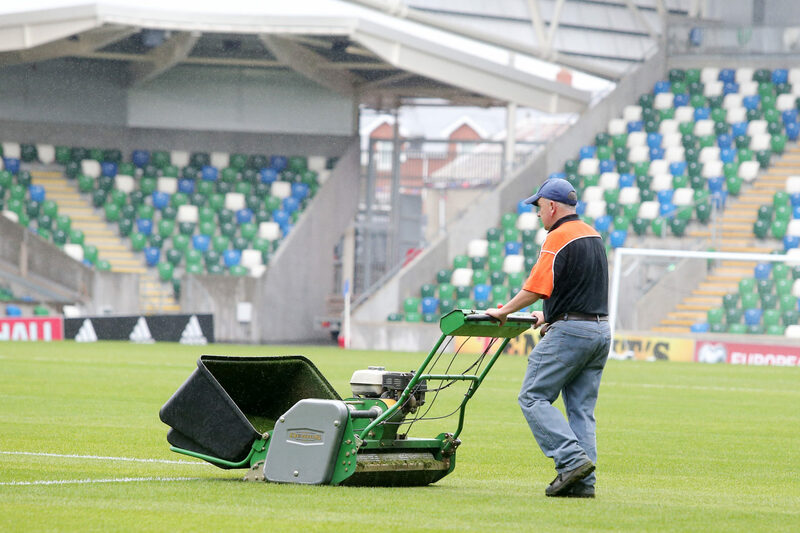 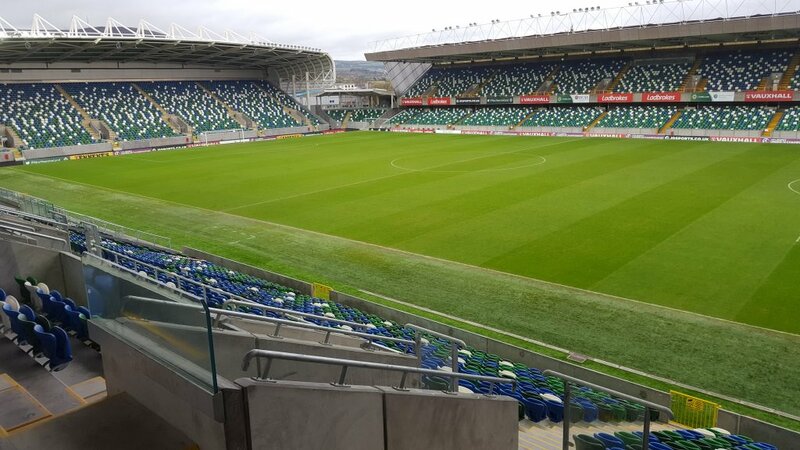 A bespoke maintenance programme, based around the pitch usage requirements of IFA National Teams, Linfield FC and IFA domestic competitions, has been developed and is implemented on a daily basis by CRL. 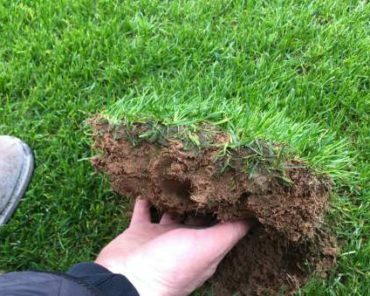 Peak usage times like international matches mean that Clive Richardson Limited have to make additional staffing resources available to the facility, to ensure that the pitch quality is maintained to FIFA quality standards. 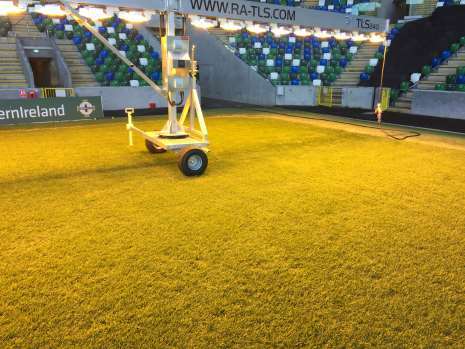 The pitch is independently tested periodically to ensure that it is maintained to stringent FIFA requirements. 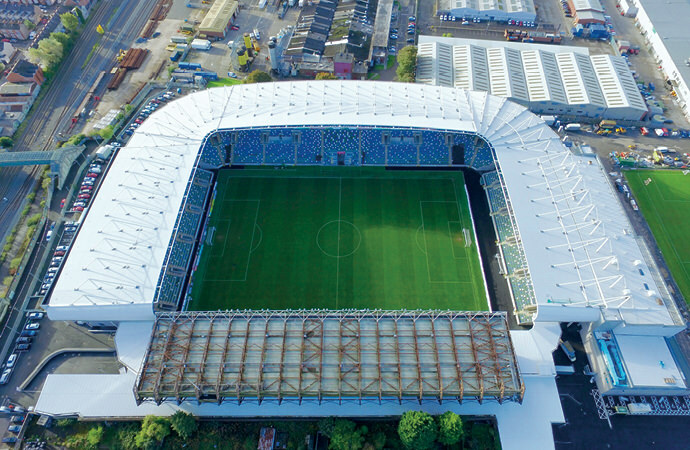 CRL’s work at the stadium was recognised at the prestigious 2017 ALCI Landscape Awards when the company were named winner of the Commercial Maintenance Category. 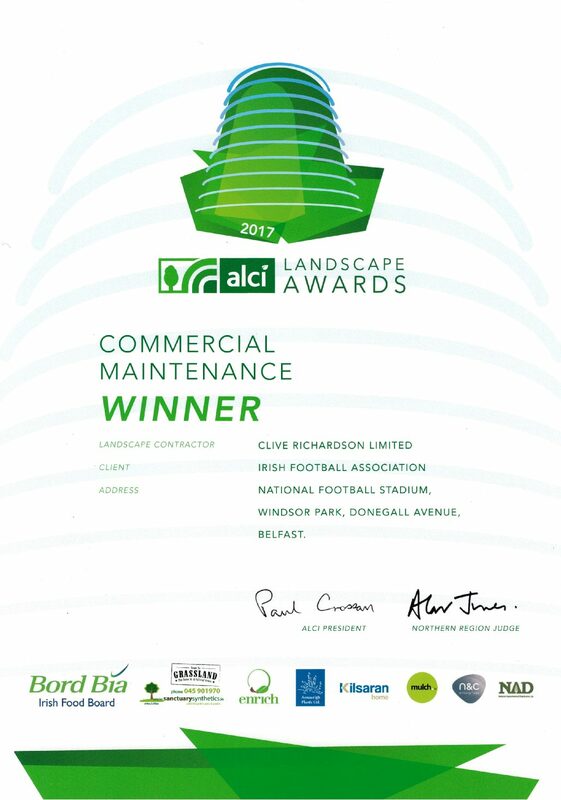 The continued standard of the work undertaken by CRL was further recognised at the 2018/19 ALCI Landscape Awards when it was the recipient of an Award of Merit in the Commercial Maintenance Category. 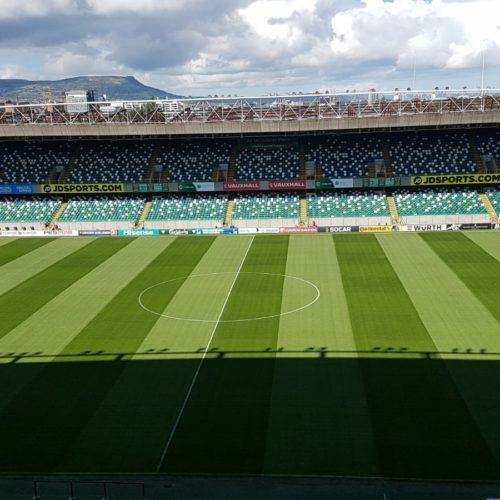 Further recognition of the standard of work by CRL was given by UFEA Representatives in the Bid Evaluation Report for the rights to host the 2020 Super Cup when they included a positive review of the stadium pitch. 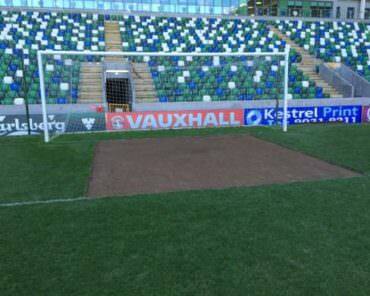 Sadly however the bid was unsuccessful.